Tiny houses were among the first homes ever built on the American continent. In the early 1620s, Pilgrim settlers in New England constructed simple homes using methods drawn from medieval times: post-and-beam frames, thin walls, steep thatched roofs, hand-split oak clapboards and a 10-foot-wide fireplace. 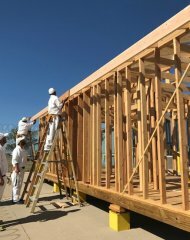 Today, tiny houses are the focus of a popular homebuilding movement based on economic use of resources. 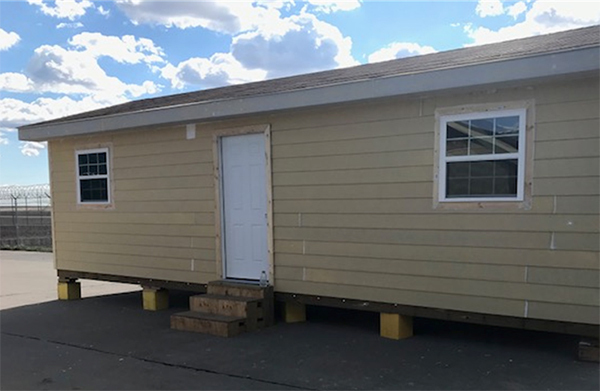 The Windham School District's (WSD) Tiny House Project at the Dalhart Unit is a direct descendant of this architectural trend toward modesty. It's also a current cultural phenomenon, with Home & Garden Television (HGTV) calling tiny houses "big living." 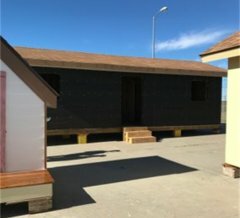 Why tiny houses? And why the Dalhart Unit? In early 2018, a team of educators led by WSD Principal T. Craiker recognized a solution was needed for a difficult staffing and housing problem confronting Dalhart Unit employees, many of whom reside out of state. 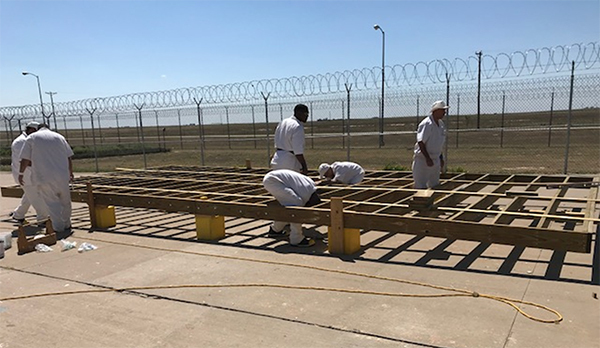 Geographically, Dalhart is in the upper portion of the Texas Panhandle and is one of the most remotely located Texas Department of Criminal Justice (TDCJ) facilities. The Dalhart Unit is closer to six other states — Colorado, Kansas, Nebraska, New Mexico, Oklahoma and Wyoming — than it is to Austin, the Texas capitol. 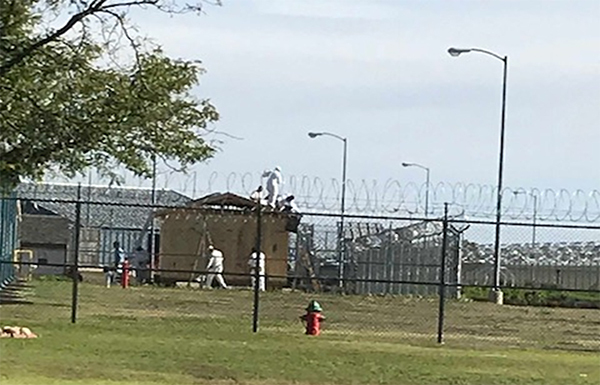 With agency recruitment efforts attracting new hires from far and wide, TDCJ employees discovered that most temporary housing choices were in high-rent areas. That is when the WSD team of educators brainstormed creative and efficient ways to solve the problem. 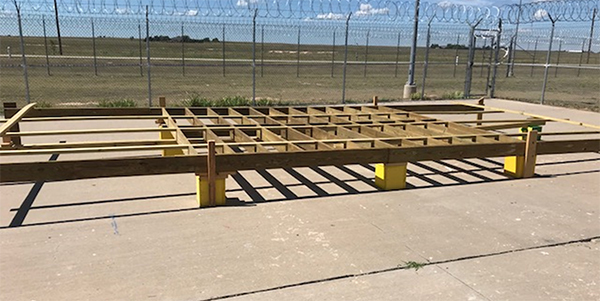 "Building tiny houses for TDCJ staff seemed like the only logical answer," Craiker says. "You can throw money at any problem, but when you throw creativity and innovation into the mix, the functional and economic aspects of a project come together in new ways." 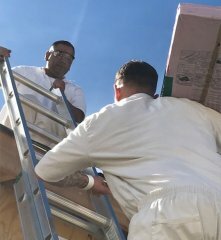 How did the responsibility for building tiny houses get assigned to offenders? "The Windham team met with WSD Superintendent Dr. C. Carpenter and Dalhart Unit Warden B. Thompson, explaining the importance of providing housing for officers who may even come from out of state. They also discussed the vital need for creating a pre-release career path for students by increasing their work experience. Everyone was on board with the idea," Craiker says. 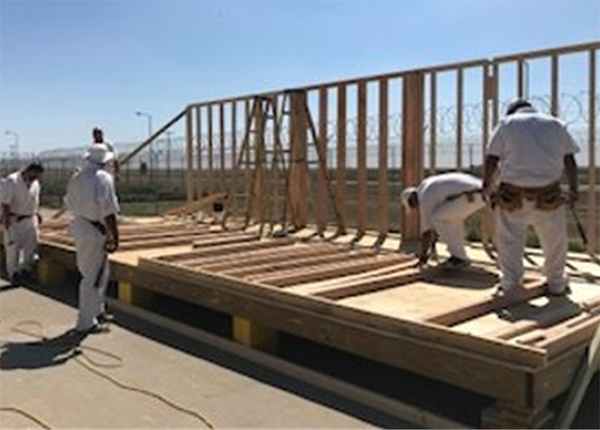 In a bold move to advance student success, WSD and TDCJ directed the Dalhart Unit Career and Technical Education (CTE) carpentry and plumbing classes work together to design and construct a customizable tiny house. Guided by Windham CTE carpentry instructor J. Perkins and plumbing instructor S. Bennett, 44 CTE students enthusiastically contributed to the venture. 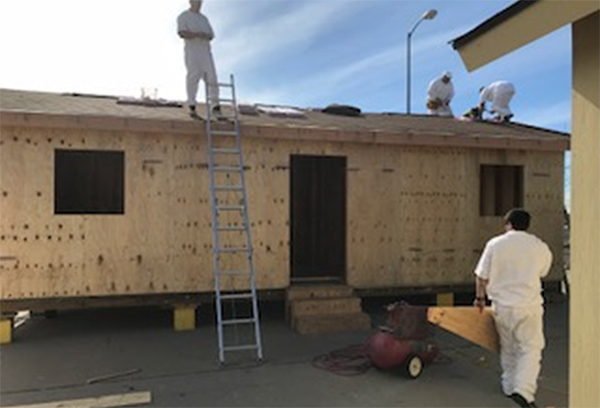 In addition, former Windham carpentry students in the Dalhart maintenance department were given the opportunity to work on the Tiny House Project. 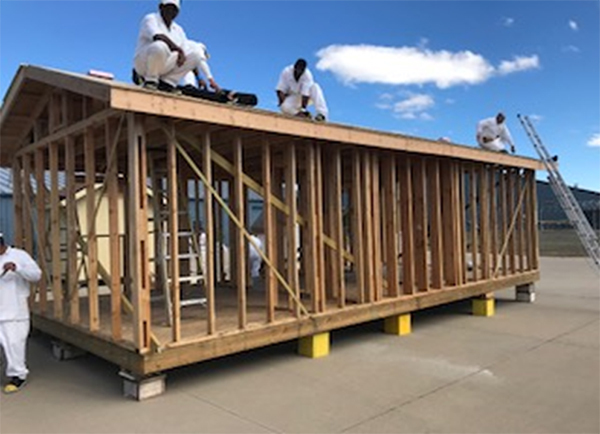 "Past Windham CTE graduates interested in expanding their knowledge and training were welcomed to our tiny house team," Craiker says. 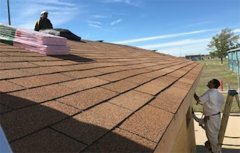 Under the direct tutelage of industry-certified instructors, students were trained through accelerated classes and practical application. 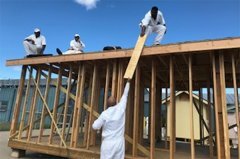 Students learned modern carpentry techniques, progressive plumbing design, construction terminology, troubleshooting skills and standard safety protocols. 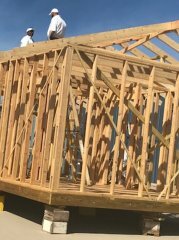 "The opportunity to build tiny houses has benefitted me in many ways," says Dalhart CTE carpentry student M. Holton. 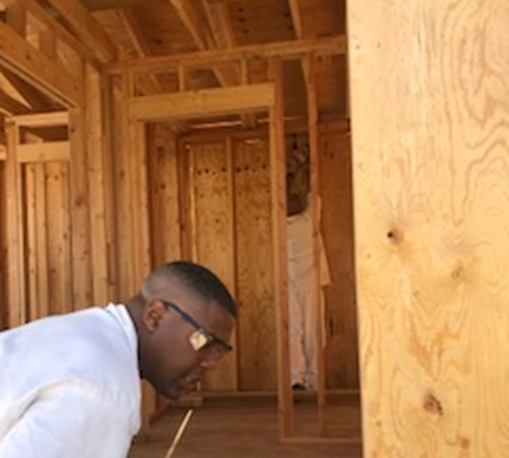 "Mr. Perkins has taught me how to operate tools properly and has given me an understanding of basic building science. I see the real potential and rewards in pursuing a career in this field." 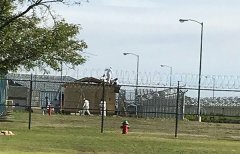 Windham and the TDCJ have long been influenced by "green" thinking, resulting in many environmentally friendly and fiscally sound programs. 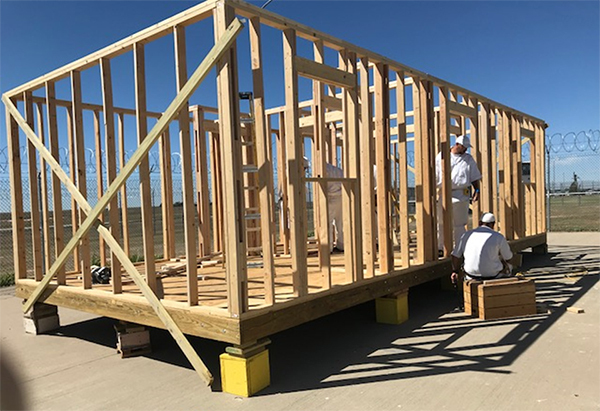 Building scaled-down houses for the Dalhart officer staff, Craiker notes, demonstrates a successful merger between utility, aesthetics and agency values. "Simple construction design makes a huge difference," Craiker says. 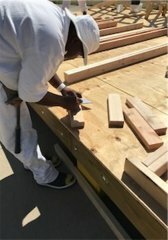 "The Tiny House Project seeks to create a comfortable and workable living area while using inexpensive materials in innovative ways. Aestheticism and pragmatism converge." The dimensions of the tiny house are 30 feet long and 14 feet wide, comprising generous but unobtrusive space, lower ceilings, a gentle roof pitch and a simple exterior devoid of decorative embellishments. Interior finishing is also kept minimal, with utilitarian wooden floors, Sheetrock walls, wooden doors and few windows. Bunk beds are also built by students, so a bedroom can accommodate up to four officers. While they are built within the Dalhart Unit perimeter, the tiny houses are relocated just outside the unit upon their completion. 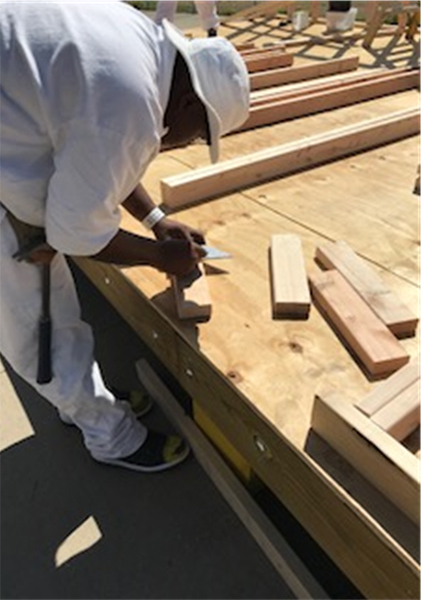 With an eye on clean geometry and plain design, Windham carpentry students begin by laying foundation and floor, confirming exact measurements using tools such as the level, square and compass. Next, a strong structural framework is built. 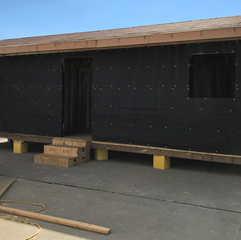 With chisels, hammers, power saws, pneumatic drills and nail-drivers, students prepare the tiny house for the application of siding and roofing materials. According to Craiker, insulation and interior heating and cooling systems are also necessary components. "We have a lot of cold days in Dalhart," she says. "Wind, rain and snow are eventualities students are trained to anticipate." 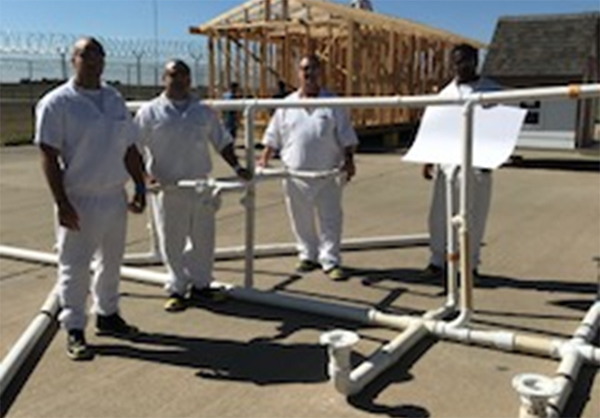 Plumbing students provide basic designs for water supply and drainage systems, and work to resolve any ventilation and space allocation problems. 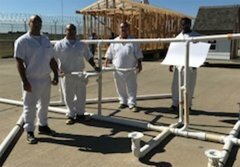 Following established guidelines for maintaining safe water systems, students install plumbing fixtures, including a tub, shower, sink and toilet. 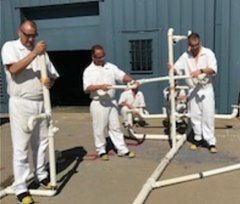 Some students install drain, waste and vent systems, while others assemble sinks for later installation, learning other aspects of the "roughing-in" process. CTE plumbing instructor Bennett expressed how the project was a great benefit for the students. 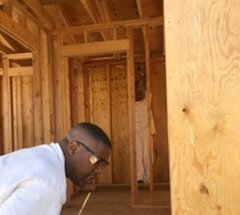 "The Tiny House Project has given students the opportunity to apply knowledge gained in the classroom," he says. "Students worked with instructors in selecting materials needed for the job, such as implementing floor plans for the house and identifying different types of piping to be used." Who completes the electrical work for the tiny house? Electrical training was provided by Windham CTE instructor L. Roberts from the Jordan Unit. Students were taught step-by-step installation methods for electrical outlets, wiring and other equipment in the tiny house, gaining on-the-job training experience. 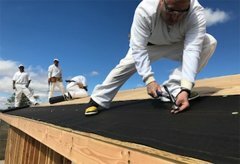 Windham students were also cross-trained in carpentry, plumbing and electrical work, and received industry certification from the National Center for Construction, Education and Research (NCCER); Labor Market and Career Information (LMCI) and the Occupational Safety and Health Administration (OSHA). Each certification involves rigorous safety training, extensive classroom instruction and long-term real-world exposure to the corresponding trade. "Behind every industry certification is an employable offender," Craiker says. "Employers want to hire people who have the training and the necessary certification for the job. But Windham is not just in the business of awarding certifications. We are in the business of giving offenders an edge on employability." 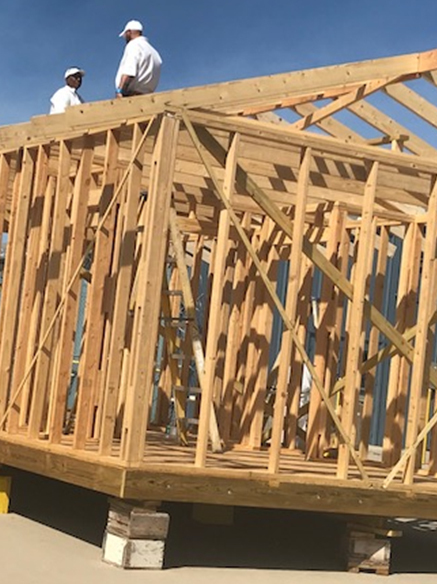 Combining vocational training and life skills with real-world job experience is a tremendous source of satisfaction for students, Craiker says, and they often express their appreciation for the opportunity to be a part of the Tiny House Project. 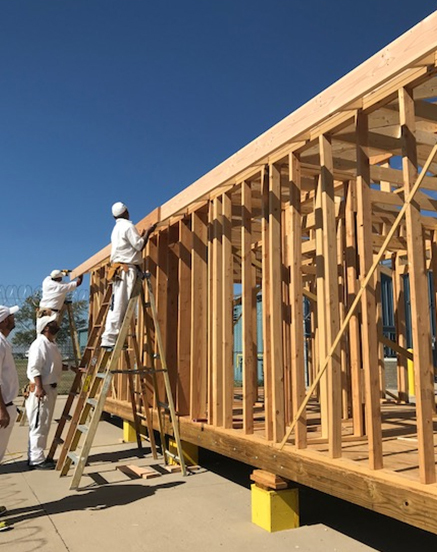 "There is a special sense of pride in building something with one's own hands," says CTE carpentry student R. Gonzales. "Windham has proven to me that it is never too late to learn a new skill." "Learning in a hands-on way has given me feelings of confidence in myself and in my skills, which I never had before," says CTE plumbing student J. Crail. 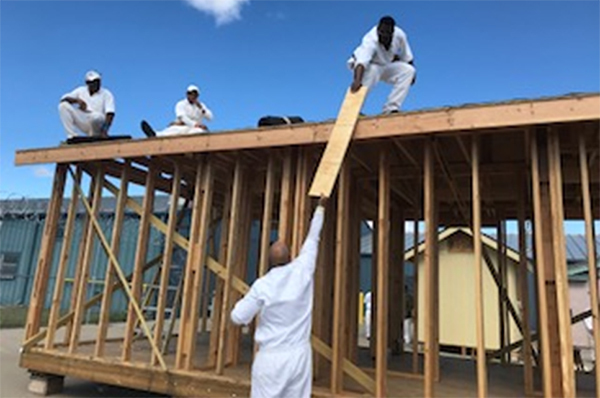 "Instructor Bennett taught us how important communication is in a construction setting and how working together as a team involves a heightened awareness and looking out for each other's safety." 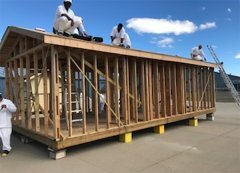 The Tiny House Project is helping students learn important life lessons and significant job skills they can carry with them for the rest of their lives. 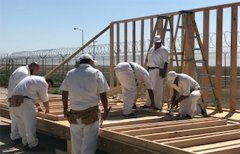 It gives them knowledge that is positive, practical and meaningful, while helping to solve a housing problem for TDCJ staff. 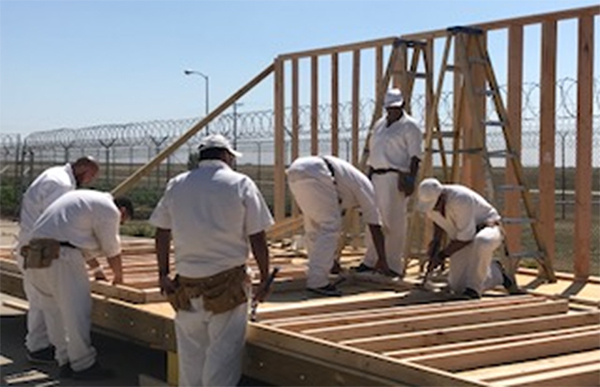 "We are equipping students to carry this knowledge to a future job site, and they seem genuinely appreciative of this opportunity to use their classroom skills in a practical manner," Bennett says. 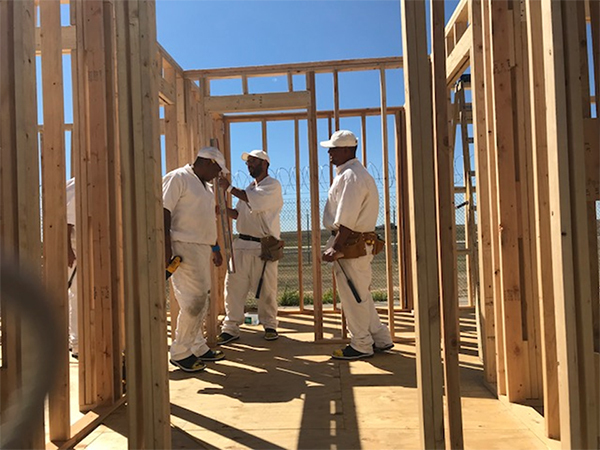 "This program, coupled with additional on-the-job experience, enables students to be part of a real-world construction or plumbing team." The Dalhart Unit's Tiny House Project is expected to be completed in the spring, when winter weather gives way to warmer working conditions. "We can't wait for the officers to use the new house," Craiker says. "This is the first tiny house solution to correctional officer housing challenges in Texas. 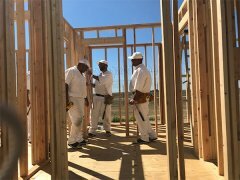 We're proud to be the 2019 TDCJ tiny house construction team."